With the hopes that we gather new knowledge and awareness, to help raise the level of our consciousness along the way. Each time we let an ancestral belief dissolve, the vibration of our energy benefits, we become lighter in our ability to understand the meaning of what it was we let go, there may be a feeling of physical lightness as you move through your efforts to evolve as well. Physical lightness helps to keep our vessel healthy and in good working order. Our life here on earth has a predestination, all of the Soul contracts that you signed before you came, will be a part of your destiny while you are here. 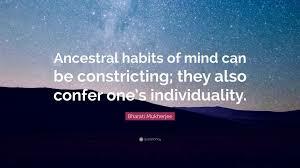 The only obstacle if you will, is in fact our ability to use our self-determination, which often without our conscious knowledge will change the direction of our path, more than a hundred times throughout the duration of this life. Our ability to act at our own discretion will sometimes be to our own detriment, the reason being we have not yet grown spiritually enough to be consciously aware of what our actions will precede. We will often look back at a decision later in life when we are more spiritually mature and see where we faulted, these unconscious decisions will teach us many difficult lessons. As we work our way through our life existence, our Soul is in constant motion, always working with us to help move us forward. Our Soul’s voice will become louder when it recognizes you have drifted from your ‘life’s purpose path’. Synchronicity will play a big role, with the hopes that these events, experiences and circumstances will keep you marching in your rightful direction. As each new Soul contract person makes their way into your life, a new lesson is offered up with their presents, another wonderful opportunity for you to make your way to an ancestral release. Conscious awareness grants us freedom from the constraints that have held us in our sufferings for many many life times. Our work here on earth is simply to embrace the courage, faith and trust that is required, so we may evolve.